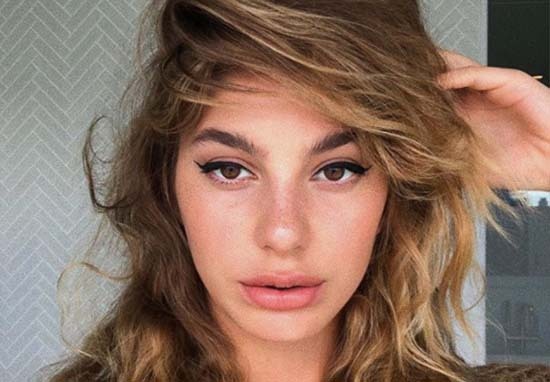 We’re only six days into the new year and already Leonardo DiCaprio is putting us mere mortal men to shame with the news that he’s going out with a model half his age – but there’s something very different about her. Nudge, nudge, wink, wink… A nod’s as good as a wink to a blind bat… What, you still haven’t got it yet. Come on, I know it’s Saturday, but it’s not that hard. Alright, a bit of background, The Sun says Camila is mates with Kendall Jenner and Sofia Richie, and if they’re not some Hollywood credentials for you, how about Camila’s mum going out with Al Pacino. Hair modeling @jenatkinhair new fluffy scrunchy ? For the Oscar-winner who famously once said ‘I prefer ordinary girls — you know, college students, waitresses, that sort of thing’, his list of past romances contains more models than your high street Games Workshop, going out with four Victoria’s Secret Angels, a Sports Illustrated Swimsuit covergirl and four miscellaneous supermodels. Nine out of the 12 listed over here in a not at all creepy slideshow of Leo’s model exes, are blonde. Maybe he’s a changed man?